Elkhart County Sheriff, Brad Rogers is our guest speaker. 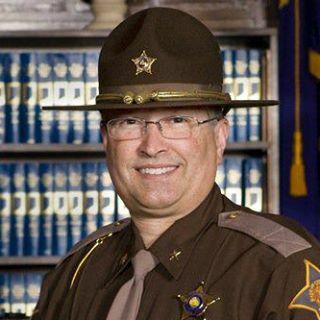 The Wakarusa 911 Remembrance ceremony will feature guest speaker, Elkhart County Sheriff, Brad Rogers. Bring Chairs – Their will be some shelter. 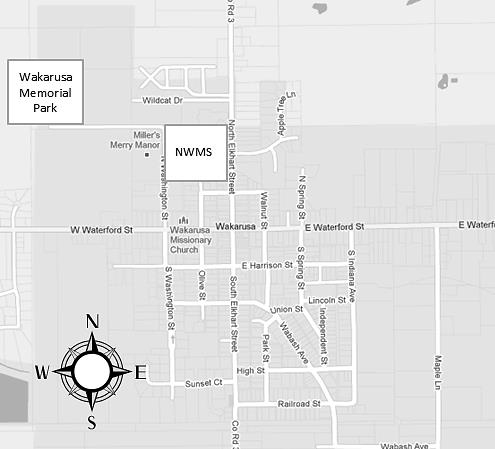 Your local scouting community is holding their 3nd annual Scout Surge a 9-11 remembrance ceremony at Wakarusa Memorial Park. This service will last approximately 45min. Please bring your chairs as we honor and our local first responders, our armed forces and their families as well as remember this day in our nation’s history. Our guests of Honor include all branches of our local United States Armed Forces as well as our Local and County First Responders. Help us say Thank You! 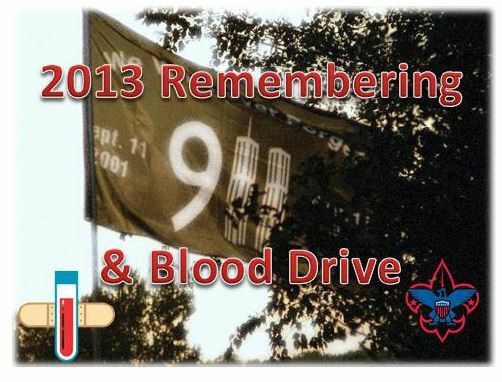 You will also get a chance to see Memorials MedFlight Chopper! On September 11, 2001 nearly 3,000 innocent people died in the most devastating terrorist attack upon our country. For the families and friends of those lost on 9/11, commemorating their lives in a meaningful way ensures that their memory will live on for future generations. What better way to spend a last summer weekend than at the New Paris’ last 2nd Friday Festival of 2013. 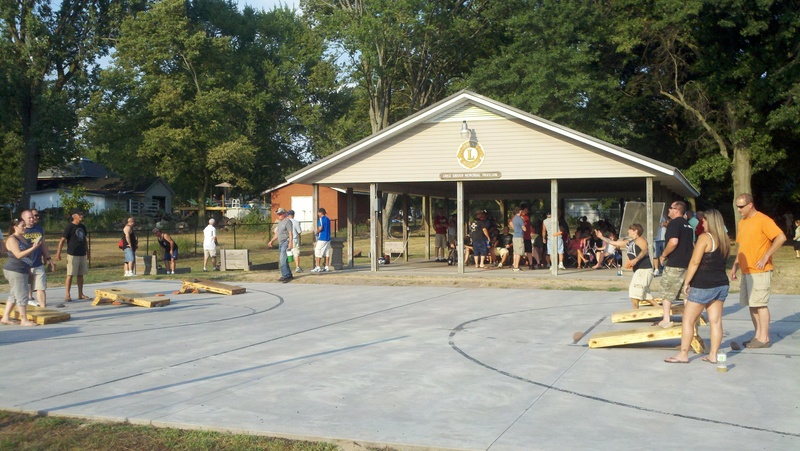 New Paris is the ONLY place in Indiana to hold Round Boat races. Parker and Nathan Hart took 1st place in the New Paris Round Boat Race. The 2nd place winners, Nick Harris and Andy Dixon, were in great spirits. They had come close to taking the first place prize. Bingo, fellowship with friends, and great food! 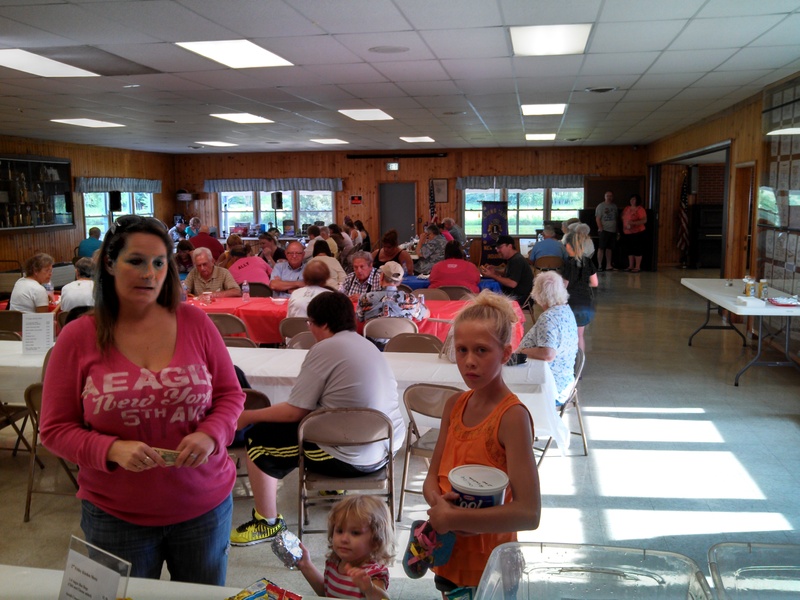 New Paris friends get together for Bingo and fellowship. It takes time to make the best food choice because EVERYTHING at the Sunnyside Park ‘Food Booth’ is SO GOOD. 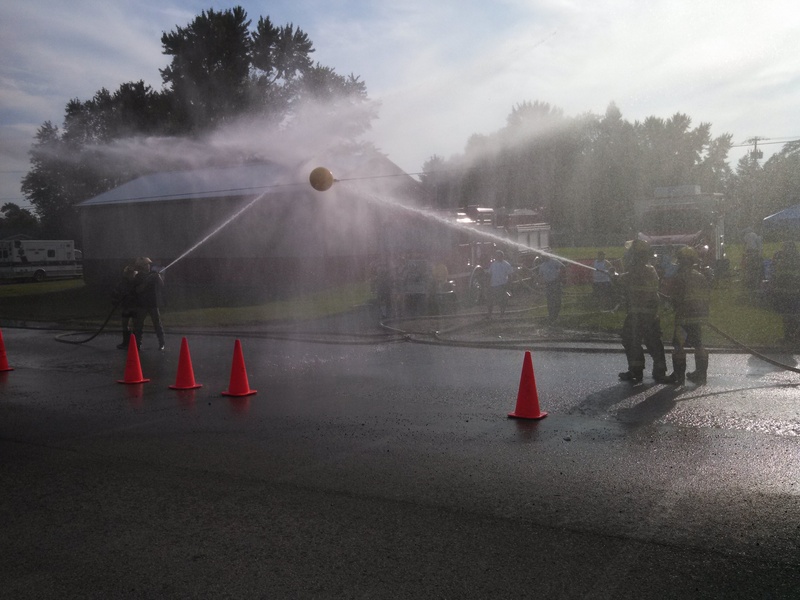 The Water Ball Contest, compliments of the New Paris Fire Department, is a huge hit! 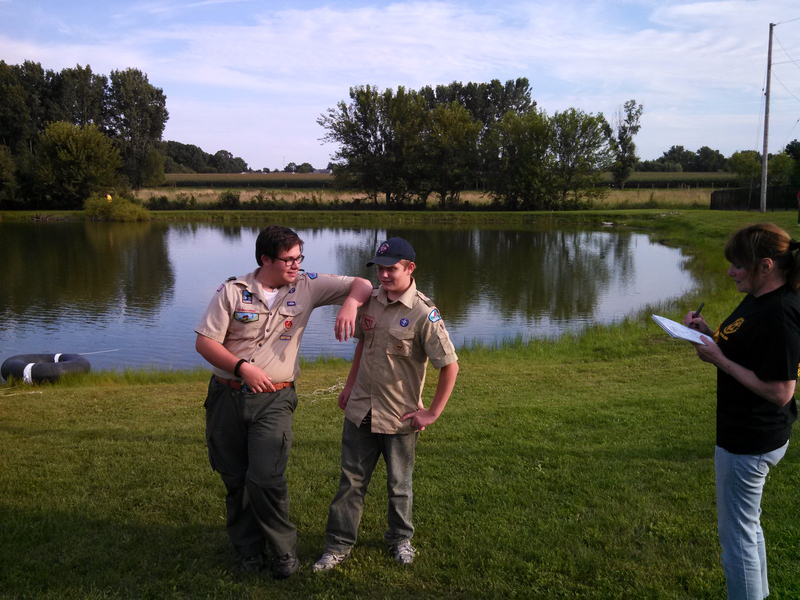 The Water Ball Contest goes on full blast as Nathan and Parker Hart take on their fellow New Paris Boy Scouts. Who has the OLDEST TREE IN NEW PARIS? A white oak tree very much like the one that is New Paris’ oldest tree. Kirby Meyers has the OLDEST TREE in New Paris. His white oak tree, located in Matthew’s woods, is estimated to be 309 years old. In 1704 when the Americas were still in early stages of settlement, Meyers’ tree was just a seedling. 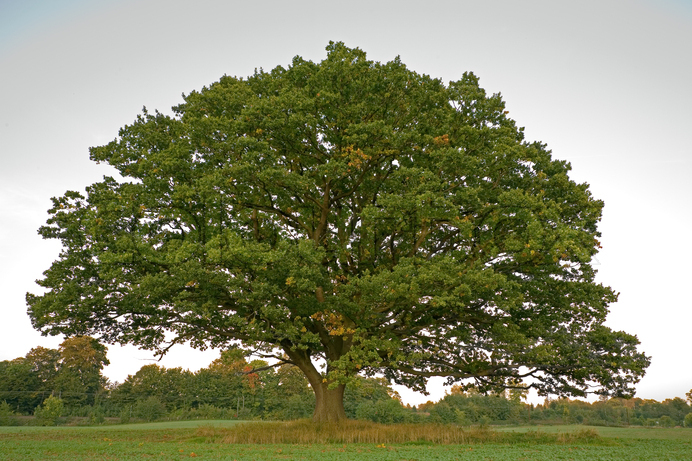 White oak trees can grow to a massive size — up to 150 feet with an 80-foot spread. 800-year-old white oak trees have been known to exist. 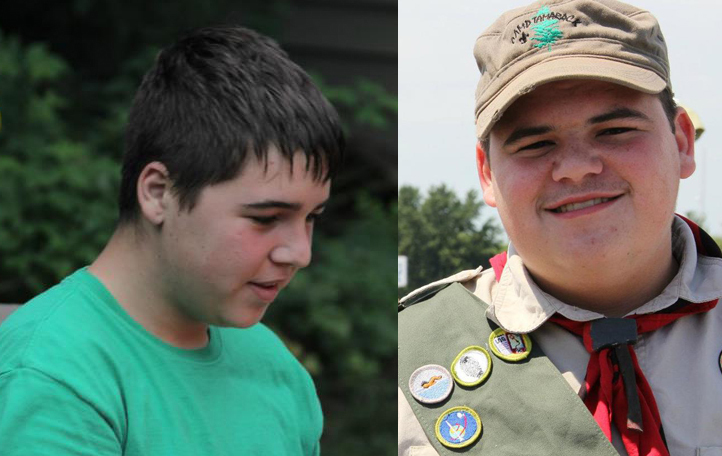 Congratulations Kirby! You had a LOT of competition, but we are proud to have such a distinguished tree, which has lived through so MUCH HISTORY as part of our community. 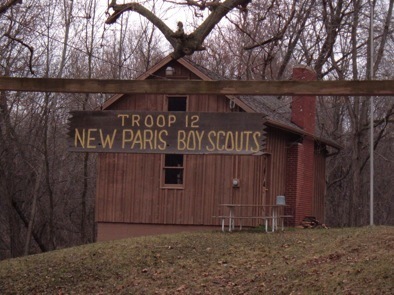 Did you know that New Paris is an unincorporated town with no taxes to fund expenses? It has been a voluntary system since 1922! 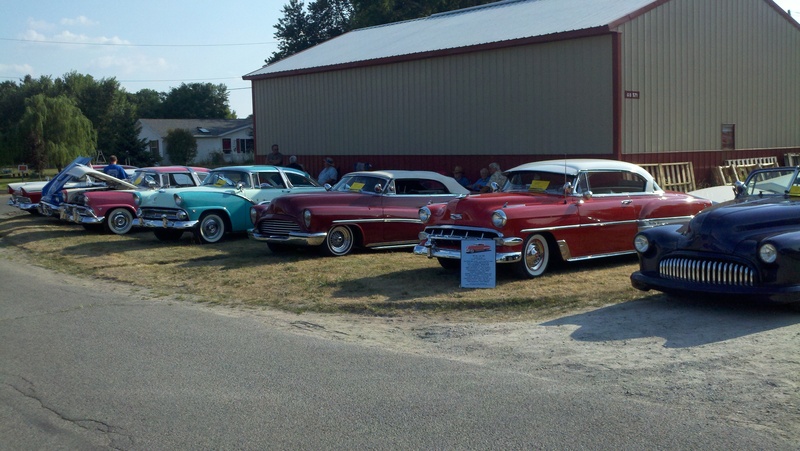 Some of the cars from the car show. 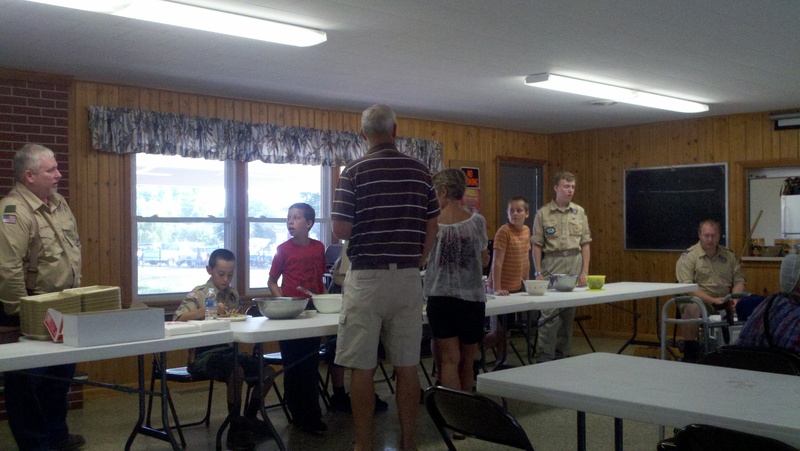 Raymond Wright, Scout Leader, with Boy Scout Troop 12 serving the Haystack dinner. 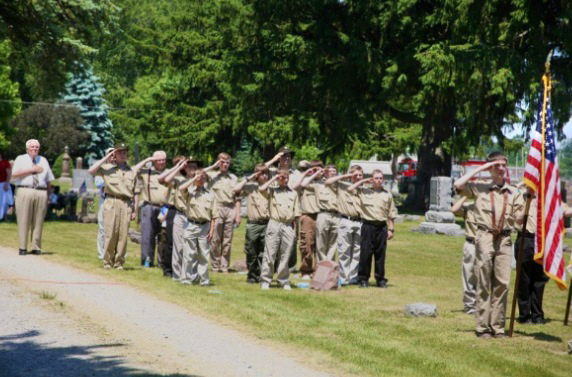 The Scouts work at community events to earn money for Scouting trips and equipment. Lots of enthusiasm for the corn hole tournament. 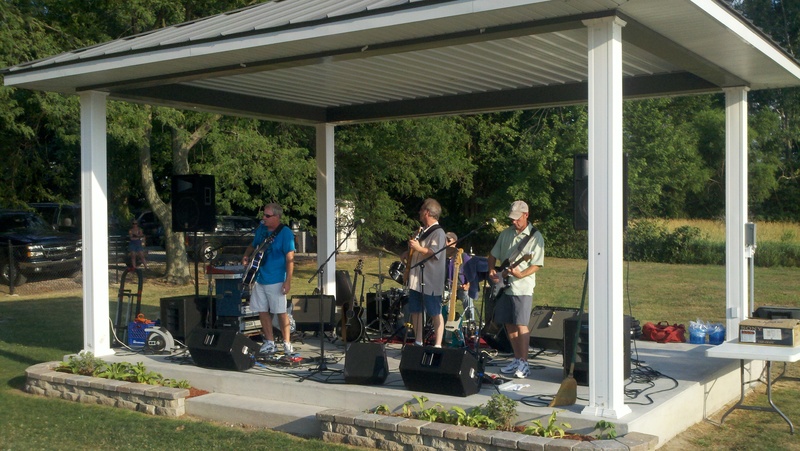 Big Daddy’s Blues Band was great! So much so that my husband wanted to dance. But, he’s a great dancer. If I wasn’t so really, really bad, I would have done it. The music was THAT good.